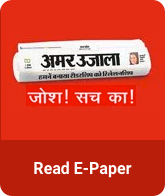 You can buy products and services offered by Amarujala or its affiliates on its shopping platform and marketplace. Make sure to read all terms and information and review the product or service offered before making a final purchase. Select service from service/product listing or landing page. Click on "Buy Now" to buy the selected service/product. To continue with the checkout process, login or proceed as a guest user. Provide all the required details related to the selected service and check payment details. Pay the amount, using any of the available payment methods. After a successful transaction, we will generate your order and will share it with you.